Large Format Posters - Lake Graphics Label & Sign Co.
Get professionally printed, full-color posters to showcase your brand, event or promotion - in any quantity and size you need. We offer a range of standard or heavy weight papers for printing posters. Using our state-of-the-art printers and quality substrates, we can produce posters that showcase events, artists, performances, promotions and more. Send us your completed artwork and we’ll create your wide format posters (or even just one poster) in standard or custom sizes. Posters can be printed one- or two-sided, or printed directly to foamcore for added stability. At Lake Graphics Label and Sign Co. Inc. we take pride in providing the best printing quality and faster turnaround times at competitive prices. And after working with our expert, friendly and professional staff, you won’t want to take your poster printing projects elsewhere. 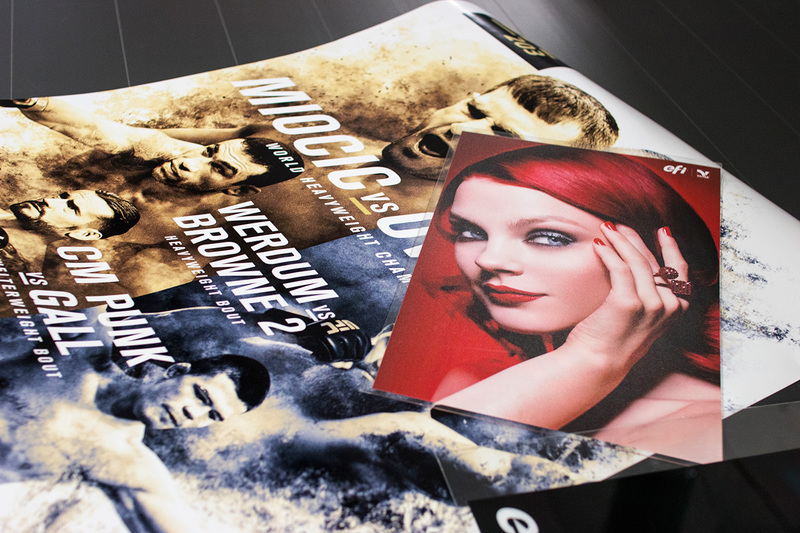 We can print high-quality, wide format posters up to 3.2 meters wide using 8-color process. Finishing options include die-cutting, laminating, coating and mounting. We also regularly produce difficult or custom posters projects that other printing services are unwilling or unable to take on. And if you need signs, promotional decals, stickers, or more – we can print those too.